The most common forms of bankruptcy in the US is Chapter 7 or Chapter 13. 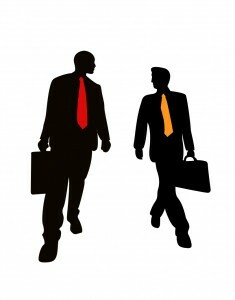 In either one of these there will a bankruptcy case trustee appointed to your case. It is this individual’s responsibility to review your bankruptcy filing. It must be determined that there is no fraud being attempted, and that there is nothing of concern regarding the legalities of bankruptcy. It is also their job to try and make sure that the maximum amount of payments to your creditors is going to take place. Being as there are two types of common bankruptcies which are totally different in their approach, the responsibilities in each of these forms of the bankruptcy case trustee differs. In the Chapter 7 bankruptcy the trustee will review all of the documents and petitions. The trustee will set a date for the 341(a) meeting which you must attend and answer questions under oath. Your creditors also have the right to attend this meeting and ask questions. The trustee also will oversee the selling of your non-exempt assets. This doesn’t include all of your assets because in the Chapter 7 bankruptcy there are some assets that you are allowed to keep and these are classed as exempt. For those assets that do fall into this category the trustee has the power to order them to be sold and the money used to pay the creditors. The bankruptcy case trustee in the Chapter 7 bankruptcy also has the authority to play an important role in your actions pertaining to disposing of assets prior to your Houston bankruptcy action. It is important to have a good bankruptcy attorney represent you in your bankruptcy proceedings.